Scapegoat: How we are failing disabled people is the first British book about disability hate crime in the UK . It examines the roots of our uncomfortable and often hostile attitudes towards disabled people and argues for the official recognition of crimes against disabled people as a hate crime. 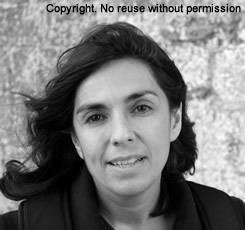 "She brings to this book a detailed knowledge of numerous horrifying cases of neglect and brutality towards disabled people, based both on her own research and face-to-face interviews with relatives, officials, academics and campaigners. Although her personal visits to the murder locations might seem somewhat frivolous, her book remains genuinely authoritative." "...this is a stomach-turning book – but it must be read." " ... this powerful, compelling and important book… The journalist Katharine Quarmby deserves credit for her campaign to get this country to wake up to the horrors inflicted on people with disabilities in our midst ." "...an excoriating indictment of society…A shocking, challenging call to action." "I cannot imagine reading a more important book this year. " 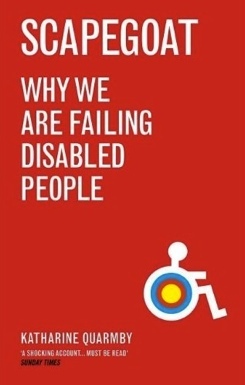 "Genuinely authoritative… Quarmby’s sobering conclusion is that there needs to be a paradigm shift in the way that disabled people are viewed by society as a whole "
" For several years Quarmby has been investigating crimes of violence against Britain’s disabled, and Scapegoat is the outcome of her grim research. What she has uncovered is that disabled people are the victims of murderous attacks just because of their condition, but also that the judicial system frequently treat crimes with a lack of rigour that would be inconceivable if the victims had been singled out because of the colour of their skin." " A shocking and powerful polemic."